The Roslyn collection has a silhouette that is both charming and romantic. A Flemish bronze finish brushes against creme parchment glass to soften the angular metalwork. 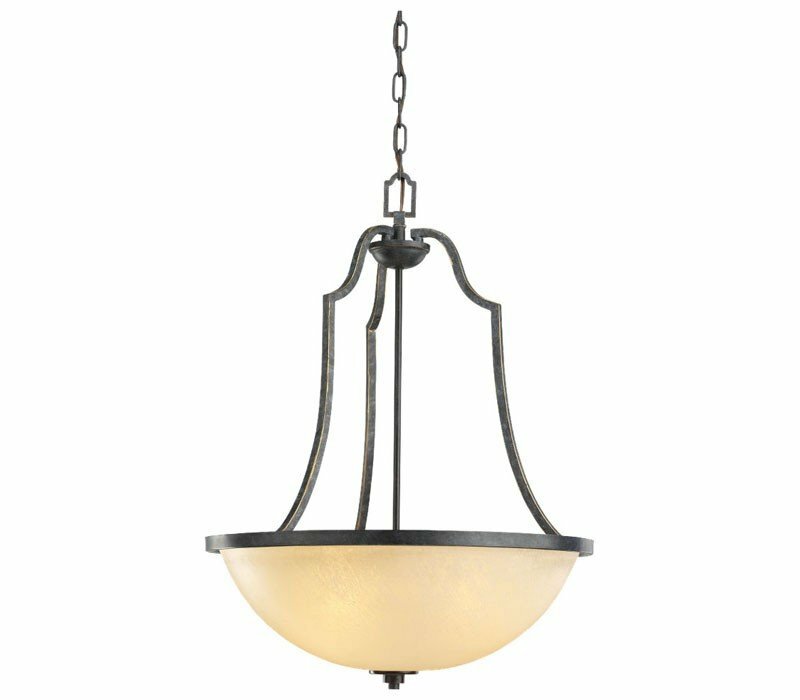 The Sea Gull Lighting 65521-845 Roslyn collection Pendant Lighting in Flemish Bronze uses Incandescent light output and brings Traditional style. This item is 26.5"H. The wattage is 300. The Sea Gull Lighting 65521-845 requires 3 bulbs (not included). Additional Information: Shade-Creme Parchment Glass.